Dr. Michael Hennessy approaches every patient individually with a natural ability to connect with each patient making them feel comfortable. Dr. Hennessy completed his undergraduate degree in mathematics from Southern Methodist University, Dallas, TX, where he graduated valedictorian. He then completed medical school at Georgetown University School of Medicine, Washington D.C., graduating with honors. He returned home to Texas to complete his internship and residency in Orthopedics, University of Texas Southwestern, Dallas, TX. He continued his fellowship training under renowned spinal surgeon and scoliosis specialist, Dr. Behrooz Akbarnia, San Diego Center for Spinal Disorders. Dr. Michael Hennessy’s practice specializes in minimally invasive spinal procedures, spine care for all age groups, degenerative disorders, trauma and deformity. He has a special interest in herniated discs, degenerative disc disease, spondylolisthesis, spinal fusion, and microdiscectomy. 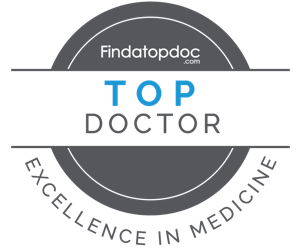 Dr. Hennessy was named in SA Scene’s list of SA Doctors: Best of 2014 as well as Texas Super Doctors Rising Stars 2014-2016, a peer nominated list featured in Texas Monthly, and chosen for Texas monthly Super doctor 2017.